NB. As the tour allows a degree of flexibility we discuss the program with our clients when we collect them, giving them the alternatives available based on their interests. We will change the program if this suits the client better. We begin at the Apartheid Museum. Rated one of the finest museums in South Africa. Here Robin shares his own personal story with visitors illustrating life before, during and after Apartheid. Liliesleaf Farm where the story of the Rivonia Raid and the Rivonia trial are told. THIS is the start of the story of Robben Island. Here the leadership of the armed wing Mhkonto we Sizwe were arrested in July 1963 and together with Nelson Mandela sentenced to life imprisonment. We visit the small museum which adds to the story. We visit Constitution Court. The highest Court in the land and a place full of symbolism, ideals and art. Some of South Africans best known artists work is on display at the Court. We visit the Johannesburg’s oldest township, Alexandra. Colorful, vibrant and exciting. This is REAL Africa. We start the tour with a brief introductory talk on South Africa and its people and Languages. 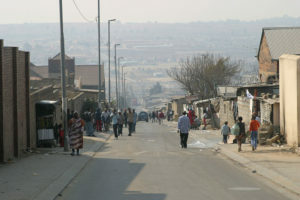 To commence the tour we drive through a couple of suburbs to provide an idea of life in Johannesburg. Depending upon the choice of clients on whether they wish to have a township lunch or not we decide upon the sequence of sites to be visited. We provide a political synopsis of events leading up to Apartheid in 1948. Then we travel to the Apartheid Museum. Rated amongst the finest Museums in South Africa. The background to Apartheid is given as well as examples of discrimination, which had existed here since the 17th Century. 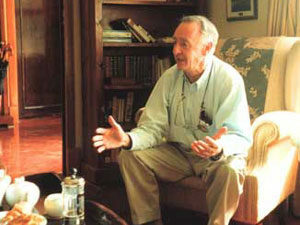 1948 is discussed and the laws surrounding Apartheid and the implications of those laws explained. At the Museum guests are accompanied by Robin and the exhibits explained in detail. (The Museum has a great deal of information so we select what we consider to be the most relevant to provide a balanced understanding of Apartheid). Exhibits and events are explained from a personal point of view. The early years of South Africa, the Zulu Wars, the South African War, the migrant Labour System, the Gold Mines, Miners strikes, Broederbond, Sophiatown, Sharpville, Afrikaner Nationalism, life under Apartheid, Resistance, Violence from 1978- 1994, release of Nelson Mandela, CODESA, and the first democratic elections in 1994 all explained. After visiting this Museum visitors are fully aware of the effects of Apartheid on the country today. Then onto Liliesleaf Farm, the scene of the Rivonia Raid in 1963. This is a recently opened Museum and the main house and surrounding buildings have been restored to exactly how they were in 1963. The background to the formation of the armed wing of the ANC and the Communist Party is provided, the events from 1902 which led to the decision to go the route of the armed struggle in 1961, explained. The story in detail of the Rivonia Raid which took place on July 11th, 1963 when the leadership of the ANC and Communist Party were caught plotting the military overthrow of the South African Government, is told in detail. 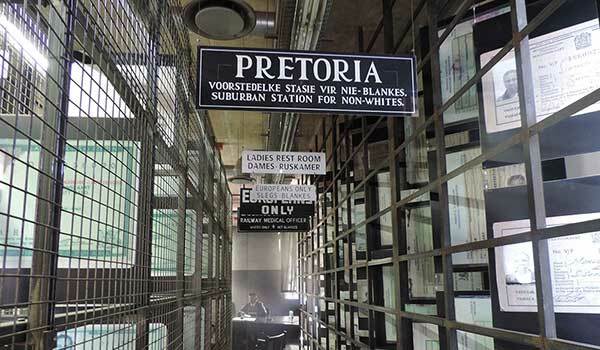 The Museum visited, the story of the arrest of Nelson Mandela and the story of the Rivonia Trial told in vivid detail. Both the House and room where they were arrested are visited and the exhibits explained. The Constitution Court illustrates where South Africa is today in terms of Democracy and some of its goals and aspirations. Constitution Court and the Fort are then visited. The Fort was built by Paul Kruger as a prison in 1893, later converted to a Fort after the abortive Jameson Raid” and then finally serving as a prison right up until 1983, the visit includes the old Fort. This is where Nelson Mandela was imprisoned on two occasions, as well as other leading South African struggle heroes. The Fort, initially built by Kruger to imprison the “Uitlanders” who worked on the gold mines, is located next to the new Constitution Court. We then visit one of the most sophisticated courtrooms in the world- South Africa’s Constitution Court. The Court, its design, emblems, symbols and logos are explained and the workings of the highest Court in the land explained. Visitors are taken into the courtroom which is breathtaking in its uniqueness. Depending upon the day and whether or not the court is in session, it is possible to sit and listen to the proceedings of the highest court in the land. In addition visitors view the excellent display of South African art on exhibit next to the Great African Steps as well as the shutters and other artistic finishes to the Court. 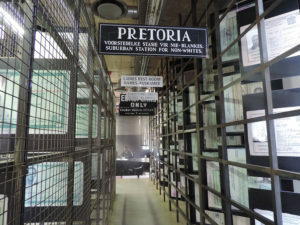 The court is situated next to the old Fort as well as next to Hillbrow- the first “Grey area” of Johannesburg signaling the breakdown of apartheid. Throughout the tour stories and anecdotes are told to make the tour interesting , moving and memorable. 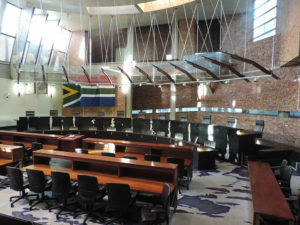 The workings of the Court are explained and the visit is likely to rate as a “Must” for all visitors to South Africa. Then onto Alexandra township. “Nobody’s Baby” as it was known. The little know township where everything in this area started. On the doorstep of the richest area of Southern Africa, Sandton. We visit Nobuhla Hostel, explain the implications of the 1913 Land act, The early years of Alexandra. The 1986 Six Day War, Beirut (still known by this name today). The growth of the community and the reason for it’s closeness today. The early years, the gangs, and the music are all illustrated by word and sound. We sample the staple food of the township, explain about the ZCC (Zion Christian Church) see the rocks of Alexandra, tell the History of the early years, experience the color, vibrancy and excitement of this, Johannesburg’s oldest township. We visit various projects, depending upon interests of the clients but these can and may include visits to facilities caring for children and orphans, as well as seeing the people gathered waiting for “the Chinaman!” Some of the old buildings and streets are visited and the excitement of this warm and welcoming community shared. Alexandra is one of the most visual experiences possible. Here in Alexandra, the spirit of “Ubunthu” is not only alive but also visible. A tour of Alexandra has been described by many as “a life changing experience”. Should clients prefer we offer Soweto as an alternative to Alexandra.